Patrick Schrauwen, PhD (1971) is Professor of Metabolic aspects of Type 2 Diabetes Mellitus at the NUTRIM school for Nutrition and Translational Research in Metabolism. In his multidisciplinary team, Dr. Schrauwen combines cellular and molecular biology techniques, state-of-the-art MRI/MRS technology (which are developed within the team) with human clinical intervention trials. Dr. Schrauwen has made key contributions to the study of the relation between mitochondrial function and ectopic fat storage in muscle and type 2 diabetes/insulin resistance. Schrauwen was one of the first to show that mitochondrial function, as measured by muscle oxidative capacity in vivo using NMR imaging and spectroscopy, is compromised not only in patients with overt type 2 diabetes but also in pre-diabetes. This finding was substantiated by high-resolution respirometry in permeabilized human muscle fibers, which revealed intrinsic defects in mitochondrial function as part of the muscle pathology commonly observed in type 2 diabetes. Subsequently, Dr. Schrauwen investigated if mitochondrial function could be considered a target for the prevention or treatment of diabetes. He used state-of-the-art methodologies to demonstrate the beneficial effect of exercise training on insulin sensitivity and mitochondrial function, including underlying mechanisms. Dr. Schrauwen was also the first to show that the polyphenolic compound resveratrol is able to increase mitochondrial function and improve metabolic health in obese humans (most cited paper in Cell Metabolism of the last five years). The second research line of Dr. Schrauwen, in collaboration with Dr. Marken Lichtenbelt, focusses on the understanding of the role of brown adipose tissue in human physiology. He was one of the first to show that brown adipose tissue can be detected in most humans upon acute cold exposure. Recently, he showed that the bile-acid CDCA activates brown adipose tissue and elevates energy expenditure in humans. He set up a model of human primary brown adipocytes derived from human volunteers to demonstrate that CDCA is able to induce mitochondrial uncoupling in BAT but not in WAT. More recently, Dr. Schrauwen demonstrated that 10 days of cold acclimation had very marked effects on skeletal muscle insulin sensitivity in type 2 diabetes patients. Dr. Schrauwen was awarded an NWO postdoctoral fellowship in 1999 and a prestigious KNAW Academy-fellowship (Royal Dutch Academy of Arts and Sciences) in 2001 and 2004. In 2008 he received the NWO VICI grant, the most prestigious research grant for young scientists in the Netherlands. 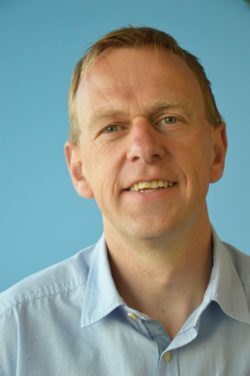 For his research, he was awarded with the young investigator award of the European Association for the Study of Obesity (EASO) in 2001, the ‘Silver Medal’ award of the British Nutrition Society in 2006, the ‘Rising Star Award’ of the European Association for the Study of Diabetes (EASD) in 2008 and the Corona Gallina Award for excellence in diabetes research in 2013. In September 2016, Schrauwen was awarded the EASD’s Minkowski Prize, the most prestigious European award in diabetes research. Since 2010, Dr. Schrauwen has been a Professor of Metabolic Aspects of Type 2 Diabetes and the leader of the division ‘Obesity, Type 2 diabetes and cardiovascular health’ of the research school NUTRIM. His Hirsch-index is 57.